I got this recipe from my mom. They are a traditional Romanian dessert called ’cornulete fragede’! We made these around Christmas, and they were such a big hit with everyone that we’ve made them a few times since! 2. In a separate glass, heat milk in a microwave until warm. Stir in yeast, and allow to sit for 4 minutes. 6. Once you have kneaded the dough; place in a bowl and cover it with cling wrap and place in the fridge for 30 minutes. 7. Roll out the dough 1/4″ thick. You may find it easier to separate the dough if you separate it into about 4 sections. 11. Bake at 350′F until golden brown, about 12-15 minutes. 12. In a separate bowl, mix powdered sugar and vanilla sugar. 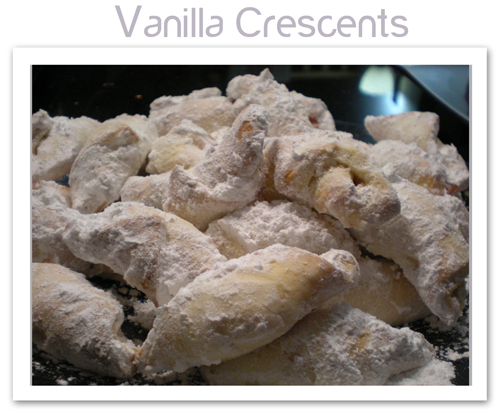 As soon as the crescents are out of the oven, allow them to cool for a quick minute, and roll them in the sugar individually. Place them on a rack to cool. hmmmm…they look duhlicious and seems easy to make. 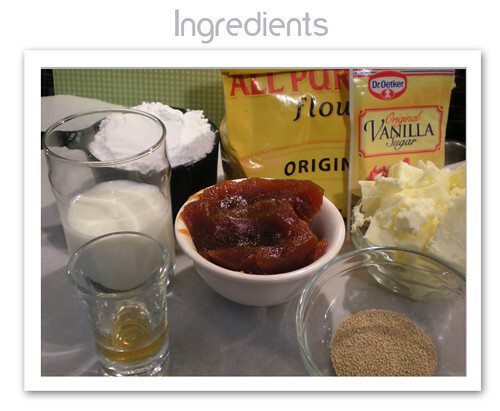 i will try this recipe for sure!thanks for sharing it with us. Easy and yummy! That’s for me. Moms’ recipes are always scrumptious. I think I’ll put sauted apple in it. Thanks your mom for this tasty Cornulete Fragede. Oooh wow! Now this is something I wanna try!! It are yummy….. I like to taste various type of foods….Thanks.. Thanks for posting the recipe! We tried it and the ‘cornulete’ came out very well. Yummy! ce bun! la multi ani de sarbatori ! This sounds delicious! If you wanted to make it with nutella the recipe wouldn’t change besides the marmalade right? And I was curious about putting the yeast in the fridge for 30 minutes… wouldn’t you let it rise first?